My next build is Tamiya's F4U - 1D Corsair . I have Eduards PE set , replaceseat by Ultracast and resin wheels as well . Also have Vectors resin cowl set . I'll follow along again. I've never built this kit. Had it once but let the kids take it and missed out. Will be following once again for sure. I'm planning on building all 3 of Tamiya's F4Us, even trying to upgrade some of the other variant kits out there. Of course I'll have to live till I'm 150 to get around to all these builds. I think you're putting way to much pressure on Terri for sure. Sunday by dinner time is more like it. So far it's taken me a full day to unbox the T-33A, checkout the sprues, make paint notes, and actually start cleaning up the basic cockpit parts. Hi Russ , not the first time I have built this kit . Did the birdcage version many many moons ago . I have also built Tamiya's 32 scale birdcage , but no later version . I do have Tamiya's 48 scale F4U -1a and their 32 scale version . Hey Joel , I hear you on the years . With what is in the stash will last me two life times ...I can do it ! Cool , which scale will these be ? ....Of course I'll have to live till I'm 150 to get around to all these builds. My only scale these days: 1/scale. My only planned 1/32 scale build is the Kitty Hawk Vought OS2U Kingfisher. I just haven't gotten up the nerve to attempt it as yet. The reviews were a mixed bag with the engine being a nightmare to build, then install. 350 and counting Sure glad that the old man gave you the extra time. I still model in the three main scales , but I mainly stick with 48 scale . Looking forward on seeing the project start . The Salmon Pink is a mix of Tamiya Pink and Hull Red . I did add some plumbing in the wheel wells . I not a fan of PE wires for this . I have made more progress since this photo's ... more tomorrow ! mmmm Salmon pink. Needless to say, following along. Ever so slightly depressed you'll have this cut and on the shelf before I reach the primer stage on mine (no, not really). For safety sake, and my life insurance company has insisted that I install a 6 way racing harness on my computer chair when following one of your builds. Excellent progress on the "Bent Wing Bird". But before it's to late to correct, the Salmon interior priming was only used on the production F4U-1s, then Vought switched to Yellow Zinc Chromate during the early production run of the -1As. The cockpit was Interior green but due to issues with glare, the sidewalls equal to the bottom of the IP & up were painted in Matt Black. 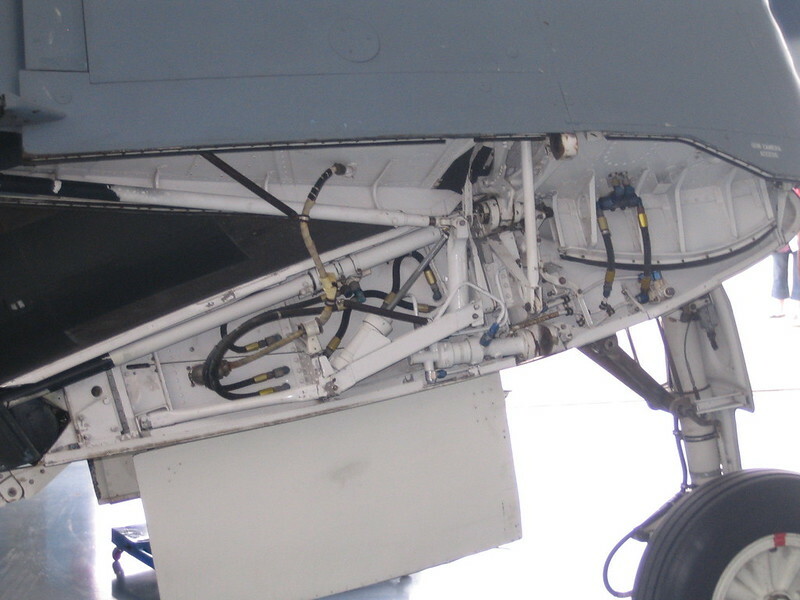 Wheel wells and the inside of the cowling were painted in Interior Green not GZC, and the landing gear color is aircraft specific just to make it a little more interesting. 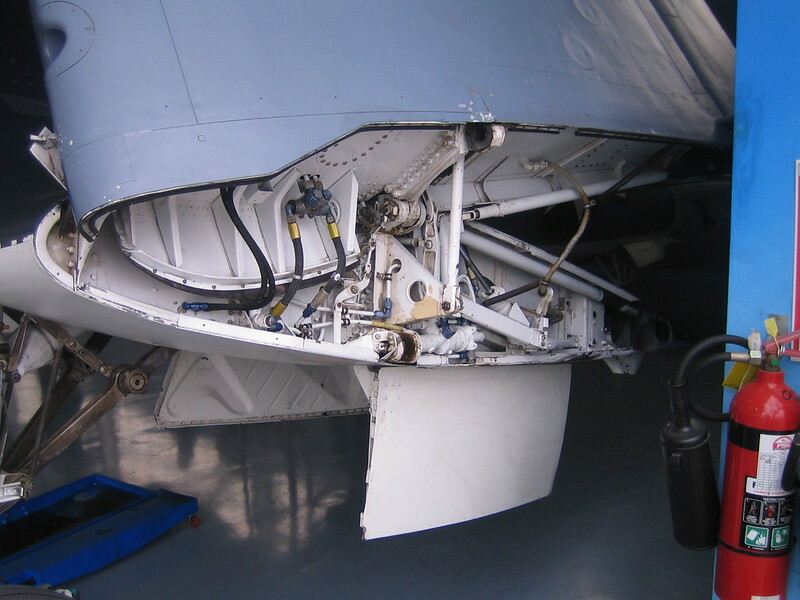 The specs where changed to have them painted a light shade of Gray, but Vought was allowed to use up the supply of Gloss Blue struts and wheels it had already painted. It is to late and was aware of this mistake but my mind was set on Tamiya's 32 birdcage . The parts are for it in the kit and I do have a spare birdcage canopy bu$t this is being built as an A1 instead . I can still over spray in white when I get to the painting stage but I must amite the pink is growing on me . Been following the Corsiar topic's on Hyperscale . Would like to get Tony Bell's Books . Vol 1 and vol 2 for future builds . Still have Tamiya's 32 F4U-1a and another 48 still to build . Cockpit is finished up and things are moving forward . While the glue dries the next sub-assembly will be the engine . Mods to the cowl are done and the resin parts tested fitted . Not happy with the cowl ring so hopefully this will work it's way out . This will take a bit of time to get it all together and painted . There is a lot of resin parts ! Hi Terri, sharp as always. not sure if you're folding the wings or not so apologies if this is presumptuous. Here are some shots I took of the Corsair stored at Hood aerodrome north of where I live. I took them in case I did another F4U at some point, but that hasn't been the cased as yet. Any way here they are for what it's worth. Hi Terry, nice start on the kit. The pit looks very well done indeed. I see. As long as you can repaint the wheel wells you should be fine. I'm a little confused (as old people tend to get) which what version of the F4U you're going to be building? I'm pretty sure that you're now making the Tamiya -1D as a -1A not a -1. The only physical differences between the two is the canopy, as the -1A had more frames, the step in the right flap needs to be filled, the pylons under the wings, and the rocket stations weren't on the -1A version. Everything else is either interior, or so minor you'll never notice it. An absolutely fantastic build of the cockpit. Weathered to perfection, and those seatbelts and Harnesses are simply outstanding. The IP looks so much better then what I remember Tamiya usually offers. Is it the Yaho AM one? Well done. I'm looking forward to seeing how all that resin AM detail fits into the cowl, as it will really kick it up more then a few notches. 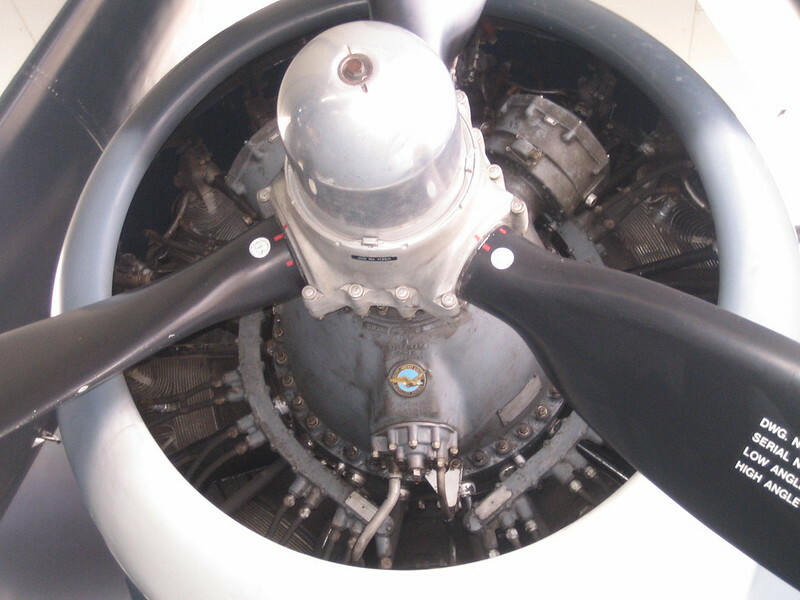 The propeller was also of thinner chord and larger diameter as found in the -1a kit. The -1D had a different prop. True, but I believe the difference in Diameter was about 3 inches, hardly worthwhile to bother with in scale. Not sure if the difference in cord was great enough to worry about in scale either. At this point in the build I'm sure that as Terri said, she's totally focused on the cowl and engine assemblies. Thank-you Spud and Peter for the info . Yes , I'm doing this one as an F4U-1a . I have the right Canopy with the extra framing . No , the instrument panel is the PE parts from Eduards set . Work continues with the engine being painted up and the weathering has started . I need to put on another coat paint on the lead wires . Adding the resin detail parts went better then I thought it would go . Glad that there are a few spares of the cowl ring framing parts and the spring mec for the cowl flaps . Feeding the wire through the holes took some time . Next time I will use fishing line for this . Be a hell of a lot easier !